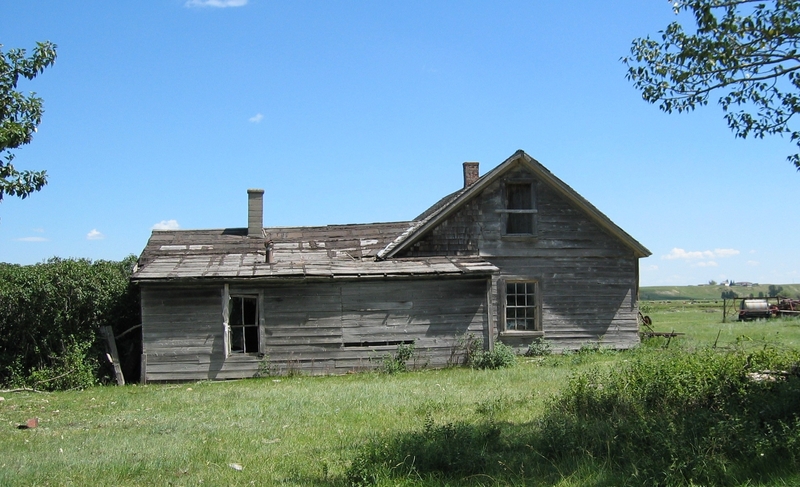 The image of the one-room schoolhouse is recognizable to many communities across Alberta. Fortunately, there are a few of these structures still existing that help to illustrate the origins of public education in Alberta. In this article, we will look at the development and decline of the one-room schoolhouse and the building features that make this structure such a unique example of built heritage. The schoolhouses that will be discussed here are the Shilo School, Verdun School and Chailey School. These particular buildings have been restored, indicating the public interest and historical significance of these structures to their community. A typical one-room schoolhouse was where one teacher would instruct boys and girls of all ages and grades. Attendance to the school could range from just a few to almost one hundred. This type of early public education was common across Canada from the late nineteenth century into the early twentieth century. In Alberta, the first one-room schoolhouse was built in Edmonton in 1881. Many more schoolhouses were erected throughout the province in the years that followed, the majority of which consisted of one room. By 1910, Alberta had 1,501 school districts operating 1,195 schools, the majority of which were located in rural areas. Edmonton 1881 School (Erin Hoar). 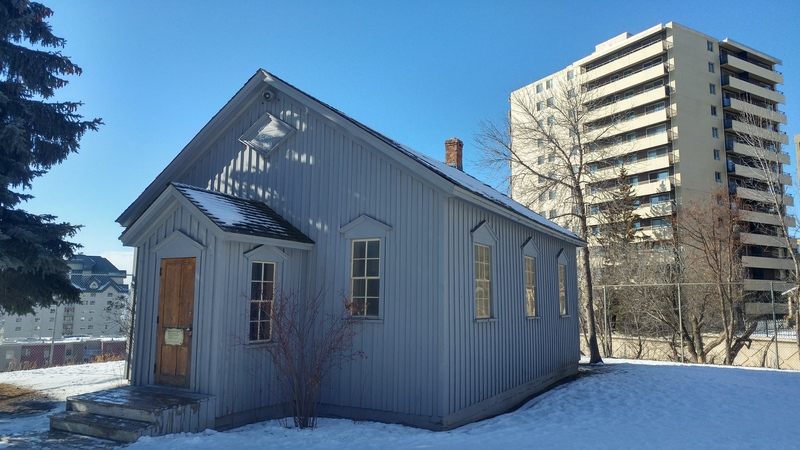 If you happen to visit a restored heritage property; come across a heritage plaque or marker; or read a community history book, chances are the project was supported by the Alberta Historical Resources Foundation. As the Government of Alberta’s primary window for heritage preservation funding, the Foundation’s Heritage Preservation Partnership Program provides matching grants and scholarships to support initiatives that preserve and interpret Alberta’s rich heritage. The next grant intake is just around the corner. Next application deadline is September 1st. If you wish to know more about the program or access the guidelines and application forms, please visit www.culturetourism.alberta.ca/ahrf or contact the Program Coordinator at Carina.Naranjilla@gov.ab.ca or 780-431-2305 (toll-free by first dialling 310-0000). Did you know that some of the earliest inhabitants of what is now Alberta were here over 12,000 years ago? 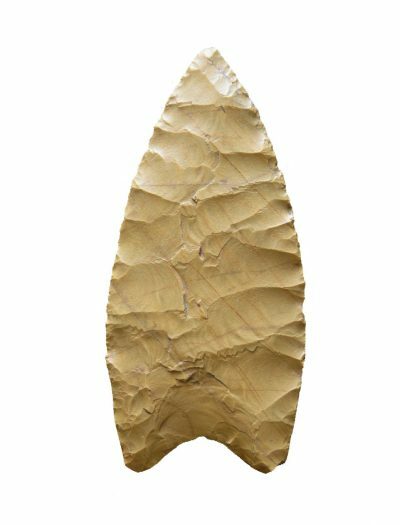 Evidence of these people is found in the form of fluted projectile points, like the one shown in the image above. Fluted projectile points are lanceolate (no stem or notching) and have large flakes struck from the center of the base to form a flute or channel. With only a few weeks left in the official visitor season for Alberta’s historic sites, museums, interpretive centres and archives, there is still time for you and your friends and family to hit the highway and discover the fascinating stories from Alberta’s past. But don’t fret if you didn’t make it out this summer — some sites are still open year-round! Note : This post was originally published on RETROactive July 12, 2011. Log house at the Oxley Ranch Site.